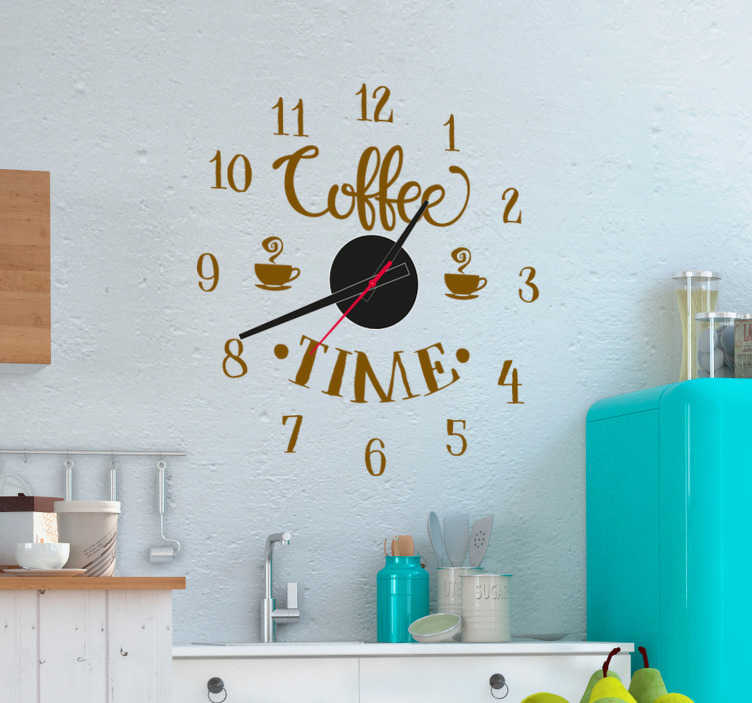 No matter what time it is, it is always coffee time with this fantastic wall clock sticker! Depicts the words ´coffee time´ with a few coffee cups depicted around the outside! Perfect living room wall decor for those who love coffee and wish to always give themselves an excuse to drink it! Clock mechanism included.